Many lives are lost in Fiji because first responders do not know how to act and react, says Macuata provincial administrator Inoke Tagicakibau. 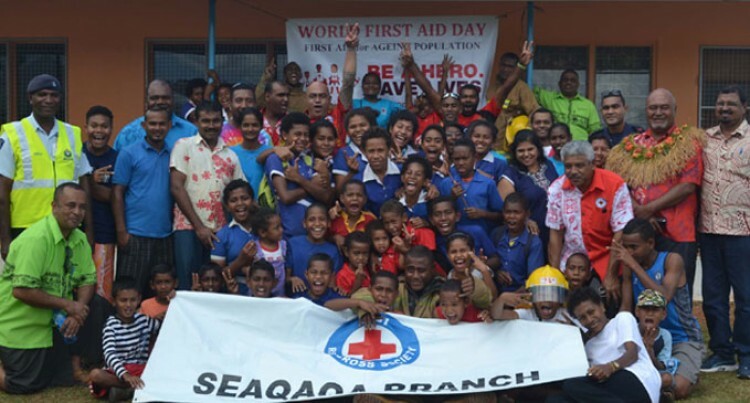 He told the people gathered during the World First Aid Day celebrations at Seaqaqa Primary School last Saturday that most people thought saving lives were for medical professionals only. “This is true only to a certain degree; if you know what to do in a critical situation, you can prevent loss of lives,” Mr Tagicakibau said. He said First Aid was a tool that can save lives if people shared the knowledge. “Saving a life does not mean rushing the injured or affected person to a medical facility but it is how one attends to a distressed person in the right way before any medical assistance is rendered,” he said. “I thank the Fiji Red Cross Society and Government for organising this event to educate the people of the Labasa and Seaqaqa because accidents do happen and they should have knowledge of First Aid,” Mr Tagicakibau said. Fiji Red Cross Society North co-ordinator Arthur Simmons told the parents and students that World First Aid Day was a time to remind the world that First Aid saved lives. He said First Aid should be mandatory in schools, workplaces, and for those applying for driving licences. “Applying First Aid in the first few critical moments of an emergency often makes the difference between life and death,” he said.